A-HOTEL.com - Luxury and cheap accommodation in Sergey-Pole, Russia. Prices and hotel, apartment booking in Sergey-Pole and surrounding. Located in Sochi National Park, Grand Kanion offers rooms with panoramic views of the surrounding forest, just 5 km from Sochi’s city centre. Free private parking is available on site. Apartment on Batumskoye Shosse 77B is set in Sochi, 13 km from Green Theatre, 14 km from Rivyera Park, as well as 15 km from Sochi Winter Theatre. Housed in a building dating from 2012, this apartment is 16 km from the Sochi Summer Theatre and provides free WiFi. Located in Russkaya Mamayka in the Krasnodar Krai region, Южная пальмира offers accommodation with free WiFi. Some units have a terrace and/or balcony. Set in Sochi, Krasnodar Krai region, Ophelia is located 10 km from Green Theatre. 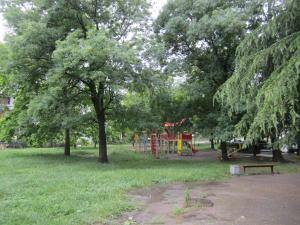 The property is around 11 km from Rivyera Park and 12 km from Sochi Winter Theatre. Located in Sochi, 12 km from Green Theatre, DagomysCity features accommodation with free bikes, free WiFi and an ATM. The property is 14 km from Rivyera Park and 15 km from Sochi Winter Theatre. Mamaika is located in Sochi. Featuring a shared kitchen, this property also provides guests with a children's playground. Located 3 km from the Black Sea Coast in Dagomys, Royal Hotel offers free WiFi and free private parking. All rooms are decorated in an elegant style and come with a flat-screen TV and the private bathroom that includes free toiletries, bathrobes, slippers, a hairdryer and a bidet. Set within 12 km of Green Theatre and 14 km of Rivyera Park in Sochi, Guest House Mimoza provides accommodation with free WiFi. Accommodation is fitted with air conditioning, a fully equipped kitchen, a flat-screen TV and a private bathroom with shower. Апартаменты в Дагомысе is an accommodation situated in Sochi, 13 km from Green Theatre and 14 km from Rivyera Park. The property is 15 km from Sochi Winter Theatre. Located within 22 km of Orekhovsky Waterfalls and 2 km of Dagomys River Bridge, Планета Спорт provides rooms with air conditioning and a private bathroom in Dagomys. Located around 6 km from Tea Houses, the hotel with free WiFi is also 1. Situated in Sochi, within 13 km of Green Theatre, Уютная квартира в Дагомысе offers accommodation with air conditioning. The property is 15 km from Rivyera Park and 16 km from Sochi Winter Theatre. Situated in Dagomys, within 25 km of Orekhovsky Waterfalls, ECO-room offers accommodation with free WiFi and air conditioning. This property offers access to a balcony. Situated 10 km from Green Theatre in Sochi, Apartment Armyanskaya 49 offers accommodation with a kitchen. The apartment is 11 km from Rivyera Park. Rytsar Sochi Dagomys is located in Sochi. This property is 13 km from Green Theatre. Set in Dagomys, 25 km from Orekhovsky Waterfalls, Guest house on Gaydara 2 has a garden and rooms with free WiFi access. Around 1. Situated 13 km from Green Theatre and 15 km from Rivyera Park in Sochi, Apartamenty offers accommodation with a kitchen. The Sochi Winter Theatre is within 16 km of the apartment. Located 7 km from Green Theatre and 9 km from Rivyera Park in Sochi, Вид на море и лес offers accommodation with a kitchen. This property is 10 km from Sochi Winter Theatre. Apartment Meridian is a beachfront property set in Dagomys, 26 km from Orekhovsky Waterfalls and 2.5 km from Dagomys River Bridge. Located 9 km from Green Theatre and 10 km from Rivyera Park, Apartments Landyshevaya 28 features accommodation situated in Sochi. The apartment is 11 km from Sochi Winter Theatre. Featuring sea views, Apartment in Sochi near the sea is situated in Sochi, 7 km from Green Theatre. The property was built in 2015, and features air-conditioned accommodation with free WiFi.